Create your own custom notebook thanks to a magnetic spine and pages printed with an iron ink strip. Remove, organize, share, and reattach the pages any way you like. 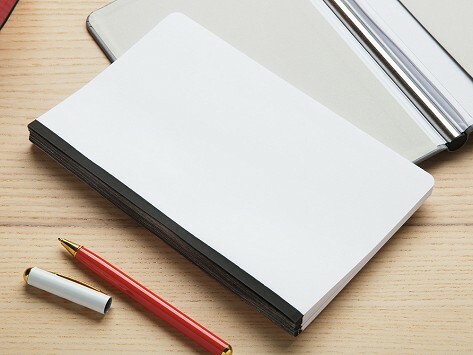 A refill pack of this unique paper means you always have a place for sketches, lists, notes, and big ideas. Dimensions: 5" x 8" x 0.25"